Madilyn Paige is a singer and songwriter from Provo, Utah, who made it into the final top twenty contestants on NBC’s The Voice, season six, while a teenager. She lived in Japan as a child and started singing when she returned with her family to the United States, performing in various local competitions. Madilyn auditioned for The Voice, at the age of 16, on 22 February 2014, singing David Guetta’s "Titanium" which resulted in Shakira and Usher turning their chairs. She made the decision to join team Usher and remained with him through the Battle Rounds. In Battle Rounds 1, she sang Ed Sheeran’s "Everything Has Changed" against Tanner James in a love-story fashion and was advanced to Battle Rounds 2. In Battle Rounds 2, she sang against Bria Kelly with a song by The Pretenders called "I’ll Stand by You." Bria won the Battle Round, but Madilyn was stolen by Blake and continued to the Playoffs and sang "Clarity," a song by Russian-German electronic dance music producer Zedd, and co-written by Matthew Koma, Porter Robinson, and Skylar Grey. Unfortunately, she was eliminated in that round. As a member of The Church of Jesus Christ of Latter-day Saints, Madilyn had an opportunity to stand up for her values and beliefs during her time on The Voice. She chose to turn the elimination from the competition into positive lessons learned and continued to press forward to pursue her dream of becoming a successful artist in the music business. She even participated in the Made in Utah Music Foundation August concert, which was a tribute to the Beatles. Madilyn was soon able to gain international attention which led to her signing with Highway Records. On 1 November 2014, the single of her original song "Irreplaceable" was released. The single is available on Soundcloud or iTunes. I had no idea how I was going to make it through and to this day I don’t know how I would have had I not had the Lord on my side helping me through it. I was really, really blessed. Before The Voice I was really insecure and unsure about myself. This whole experience really gave me a lot of confidence and helped me realize what I am capable of. It was a once in a lifetime experience. It changed my life and I will never be the same. I can’t wait to see what comes next. There were so many tender mercies throughout the process. I would not have made it as far as I did if I hadn’t had my Heavenly Father to rely on. This stunning self-titled debut EP features a set of tunes notable for their raw emotion and beautiful soundscapes. Madilyn wrote or co-wrote every song on the album, drawing from her own struggles as a teenager and her heartfelt :expressions of the joy she finds in life. The first track, "Irreplaceable," begins with aching introspection and soars to an assurance of self-worth; the following track, "Foolish Game," was written right after Madilyn left the TV :show The Voice and gives insight into the inevitability of discouragement in life and the realization that you can rise above the games that people play. An epic movie score string section combines with powerful rhythms on :"Undercover," a breathtaking song about overcoming sadness and seeking the light all around you. The final track, "Little Things," playfully reminds us that the little things in life are the source of true joy. When I was eliminated, it was hard at first because I wanted to move on, but I felt grateful that I made it as far as I did. I was so happy for my fellow contestants that were moving forward, and I really enjoyed watching them :perform that season. I felt at peace with it and realized that everything happens for a reason and that I went as far as I needed to go. In July 2015, Madilyn released a new music video to honor Mark and Amy Openshaw and two of their children, Tanner and Ellie, who were all killed in a small plane crash in Missouri on June 2015. The video, a cover of One Republic’s "I Lived," was produced by Forevermore Films and Audio West Studios. At the end of the video, she dedicates the song to the Openshaws with the beautiful message, "You showed us how to truly live!" 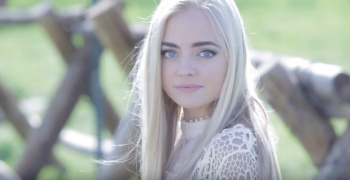 On 9 August 2015, Madilyn Paige was the winner of the "Next Big YouTuber" award at Utah’s YouTube Convention – CVX Live 2015. On 11 October 2017, she participated in a live Face to Face broadcast for the youth of The Church of Jesus Christ of Latter-day Saints. Joining her in the broadcast was Nicole Luz, Patch Crowe, and Lexi Mae Walker. She has also presented with Time Out for Women. Madilyn Paige is a young woman with unshakable faith, and an upstanding role model for her peers and growing fan base. She has stated, "I rely on my faith every step of the way. I believe that I am receiving direction in every decision I make and that I am being led in everything that I do. It helps me choose what’s right for me and what’s not." As of mid-April 2018, her YouTube music videos have garnered more than 13 million views. This page was last edited on 12 April 2018, at 15:56.